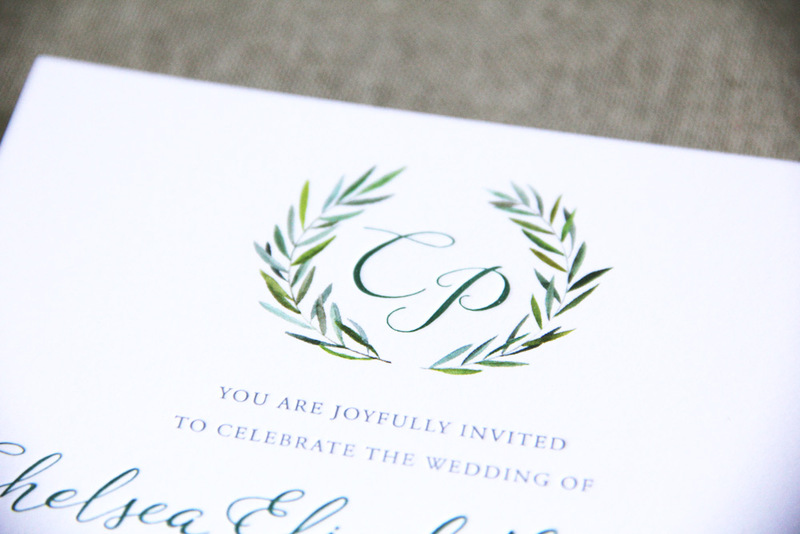 This elegant custom wedding invitation suite was letterpress printed on cotton paper and incorporated watercolor painted elements of simple greenery. It also incorporated hand lettered elements and a custom monogram with the couple’s first initials. 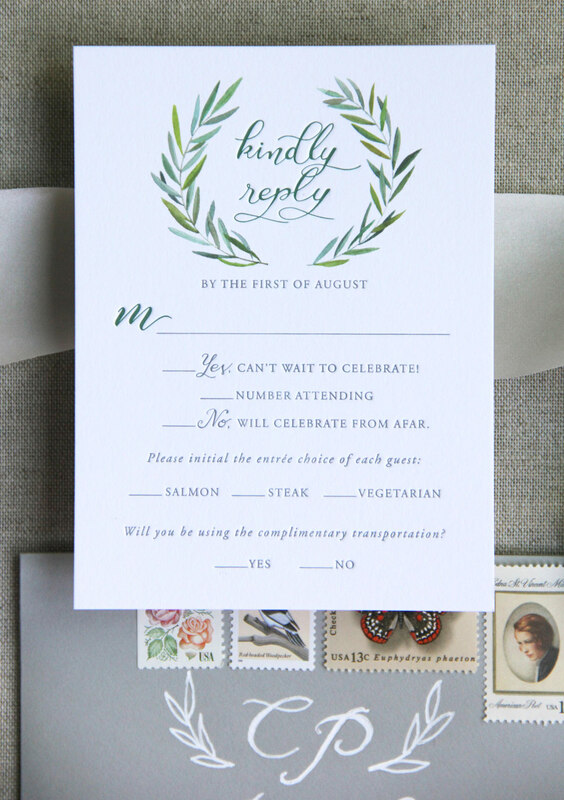 The full suite includes the main invitation card, a response card, and a details card with gray envelopes. Please note that the addressed envelopes contain fake addresses to protect the privacy of our client.